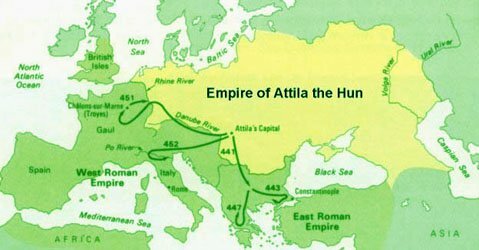 Even 15 centuries later, this name, Attila the Hun, brings images of barbaric carnage. The word barbarian came from the word Greeks used to designate anyone who was not Greek. To the urbane Greeks, those people sounded like they were saying “bar bar” and thus became known as barbarophonos. Barbarophonos came to mean ‘bearded and crude.’ To the smooth-shaven Greeks and Romans, the wild-haired Scythians were terrifying. 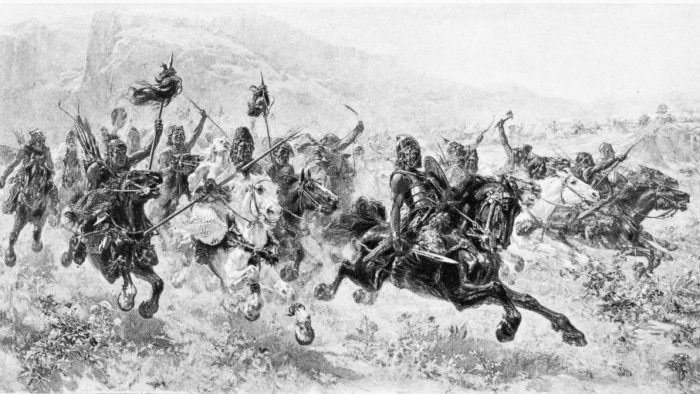 True to their reputation, the Scythians attacked with a mob mentality, overrunning the fearsome Roman legions in the eastern part of the Roman Empire. In 441, Attila and his brother Bleda inherited the leadership of the Scythians from their uncle, Roas, and continued rampaging. The Romans called Attila the “Scourge of God,” but the story of a nun wading into the middle of a river with a crucifix held out in front of her is a myth. There was no nun. 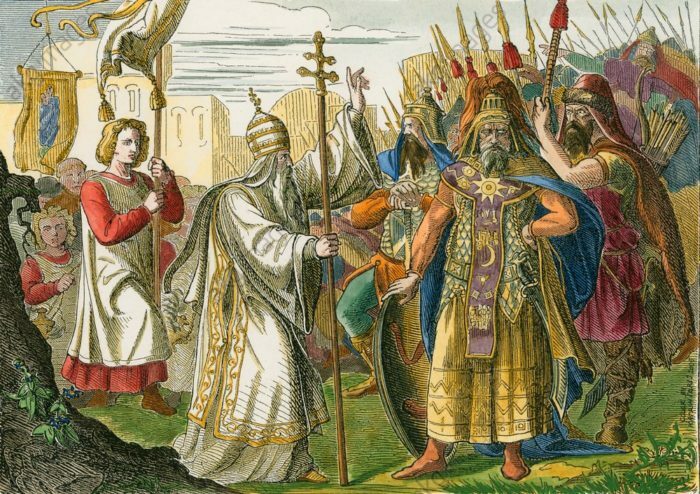 The reason Attila and his marauders did not sack Rome when he arrived there in 452 was because Pope Leo I talked them out of it. A Greek diplomat named Priscus visited Attila’s camp sometime after that and wrote a very different account from the accepted image of chaos and filth. Priscus reported that Attila lived in the biggest dwelling in the complex, a fine house with towers, a huge banquet room and polished wooden floors. The banquet Priscus attended, which started at 3 p.m., began with toasts of wine in gold and silver goblets. The many-course meal lasted until evening. Minstrels and jesters amused the diners with songs of Attila’s feats. 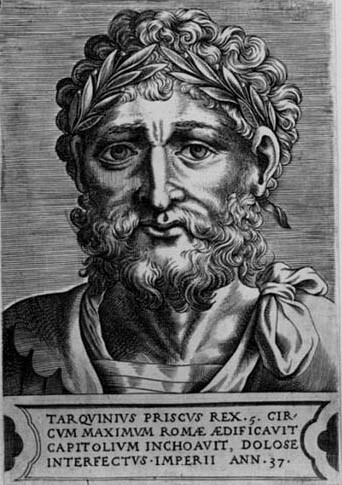 Priscus reported that Attila never laughed or smiled until his youngest son, Ernas, came into the hall. Priscus was surprised at how much Attila loved this child. The next year, Attila celebrated his marriage (not his first – he had a main wife named Kreka and three sons with her, plus children by many other wives) by drinking too much. Some historians believe he was a heavy drinker. Some believe he rarely drank. But in either case, his drinking that night led to his death – he fell asleep on his back. He died gagging and choking on blood, perhaps from a massive nosebleed, perhaps from an esophageal hemorrhage. Or as some believe from foul play.